Water For Elephants was not a movie I knew much about when a group of lady friends took me off to see it one day not too long ago. As a matter of fact I had almost no knowledge of this movie and I am not sure that I had even heard of it. I was thrilled to discover that it was a historically based circus movie and I am pleased to be able to say that I loved it. It was a romance, for sure, starring Reese Witherspoon, Robert Pattinson and Christoph Waltz and I thought that they were all very nicely cast. However, it was possibly the most violent romantically themed movie that I have seen. I still enjoyed it enough to come home and read Sara Gruen's book of the same name. I was really curious as to whether the story was a true story and discovered that it was not. I appreciated knowing, however, that Gruen based the book on circus research and even included some events that were rumoured to have happened in the real circus world. Apparently, there is a lot of speculation with regard to events from the circus world. The Movie Mom says, "This ambitious, colorful story of the travels of a second rate depression era circus is filled with metaphors about life and love - some more successful than others - but it is consistently engaging and a treat for the eyes." I agree. 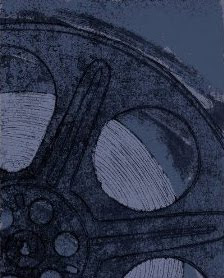 DVD RELEASE DATE: November 1, 2011. 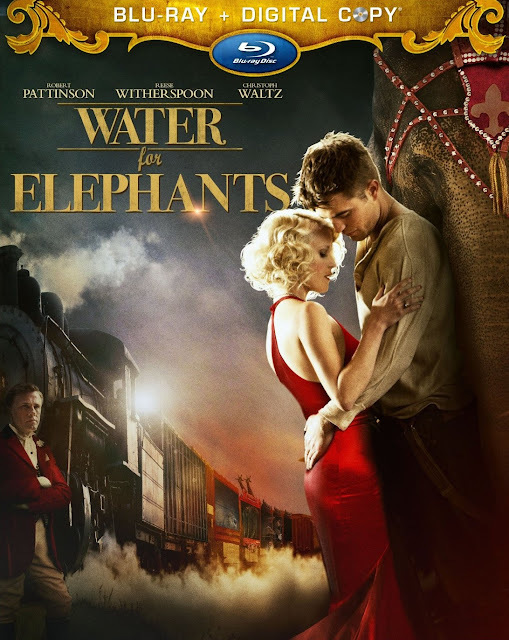 What is Water For Elephants rated? IS THIS A FAMILY CIRCUS MOVIE? IS IT APPROPRIATE FOR CHILDREN? You would be excused if you were thinking that Water For Elephants might be a family movie. A movie about a circus and an elephant seems like the perfect candidate for a family film. However, let me tell you that it is NOT. It is rated PG-13 by the MPAA. I found it to be quite violent and it also contains a fair bit of sexual content. The same can be said of the book, although the violence did not stand out as much there for me. The Movie Mom called this movie suitable for high school aged children and I guess that is in keeping with the PG-13 rating of this movie. Who is the Real Star of Water For Elephants? I think both Reese Witherspoon and Robert Pattinson were perfectly cast in this movie and I believe they both did a wonderful job. However, I have heard it said that there was a surprise star in this movie so I'll ask, who do you think is the star of Water for Elephants? If you are interested, you can buy your copy of Water For Elephants from Amazon by clicking here. Water For Elephants: Book Review. Buy your copy of Water For Elephants from Amazon. Previously published by the author elsewhere in 2011.